Liverpool is a city in the UK that falls into a place that is difficult to categorise. While not in the super-sized London or Birmingham category it does register very, very high as a city that must be visited in the near future. It literally has everything that a male could need. Great sights, unrivalled culture, a choice of some of the most iconic sporting locations anywhere in the world as well as style and retail which could compete in any major city globally. Liverpool is a city built on the river Mersey. This fact in itself offers some of the most spectacular views and sights anywhere in Britain. The port where Mersey Ferries (a ferry which cruises up and down the river) sail in and out from has a magnificent bar and restaurant to drink and eat in called Matou. If you visit Liverpool, this simply cannot be missed. Across the road from the Port is the Royal Liver Building. The Royal Liver Building was at one point the tallest building in Europe. This building is an architectural masterpiece and you will be taken back upon seeing it. This building was purchased in early 2017 by a Luxembourg based group and by the majority shareholder of Everton Football Club with the intention of running some of the clubs business from the building over-looking the Mersey. Liverpool offers an abundance of cultural activities to get involved with. Liverpool was named the European Capital of Culture in 2008 and with just cause too. For me, the most incredible thing about Liverpool is the hysteria and celebration made about The Beatles. There is an endless trail of Beatles related activities to do while in Liverpool. Liverpool is a shopping mecca. If there is ANYTHING that you need Liverpool ONE has it. Liverpool ONE offers an indoor/ outdoor retail centre with some of the world’s largest retail companies. See Zara, Apple, Ted Baker, Adidas, Hugo Boss and many, many more. For me, when you look at Liverpool and its sporting history it is very difficult to look past Liverpool Football club. Although Liverpool’s footballing success was not experienced in my memory I witnessed what remained in the early 1990s. If you do visit Liverpool, Anfield is somewhere that should be most definitely on your itinerary. In the interest of fairness, if Liverpool is not your thing. Close by is Everton Football Club. While not quite the same history, it still offers an equally enjoyable day out. As for a hotel, it is hard to look past Hotel Indigo. Hotel Indigo is fantastically located on the banks of the river and within a five-minute walk of Liverpool One. For steak lovers there is a Marco Pierre-Whites on the ground floor of the hotel too/. Secret Tip: Say that you were going to book on one of the OTAs such as booking.com and by giving them a direct booking and they have availability they could give you a free room upgrade. It is impossible to go to Liverpool without taking into the account the standard of birds that are in the city. It truly is magnificent to see. I must say, I was taken back by the quality and quantity of good looking females of all ages in Liverpool. One of Britains best cities for birds for sure. There is an abundance of flights direct to Liverpool from Ireland. For the sake of simplicity, it is impossible to see past Ryanair . There are a couple of ways of getting to Liverpool by ferry from Ireland. The least expensive would be P & O Ferries sailing from Dublin directly into Liverpool. It’s a seven-hour crossing mainly designed for freight but there is a substantial passenger element to it too. Irish Ferries and Stena Line offer routes from Dublin to Holyhead and also Belfast directly to Liverpool. 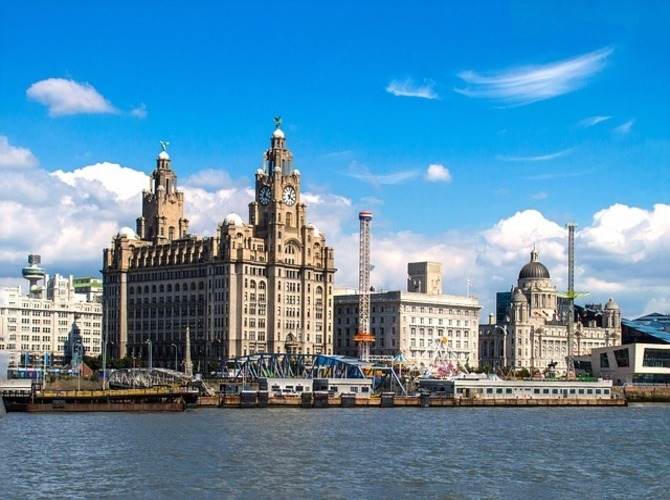 blog, culture, Ferry, flights, ireland, Liverpool, Liverpool one, male, shopping, sights.